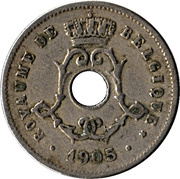 The royal monogram of King Léopold II is surrounded with legend in French. Date below. 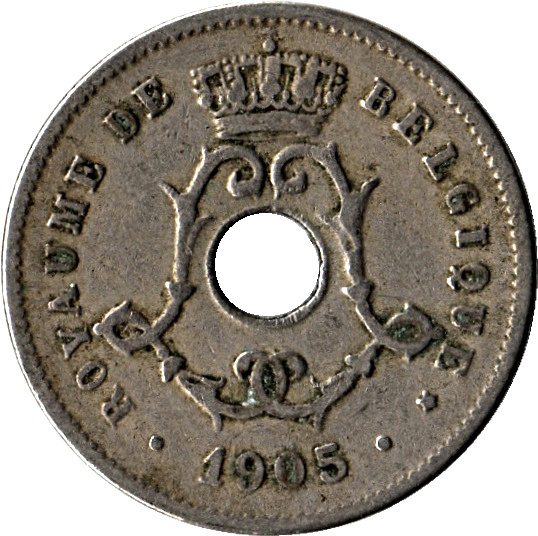 Alphonse Michaux (1860–1928) was a Belgian coin engraver and medallist, appointed chief engraver of the Brussels Mint (La Monnaie de Bruxelles) in 1895, and best known for engraving dies for a series of Belgian coins with a distinctive hole in the center. Michaux also engraved coins for Luxembourg, Persia, Romania, and Colombia. 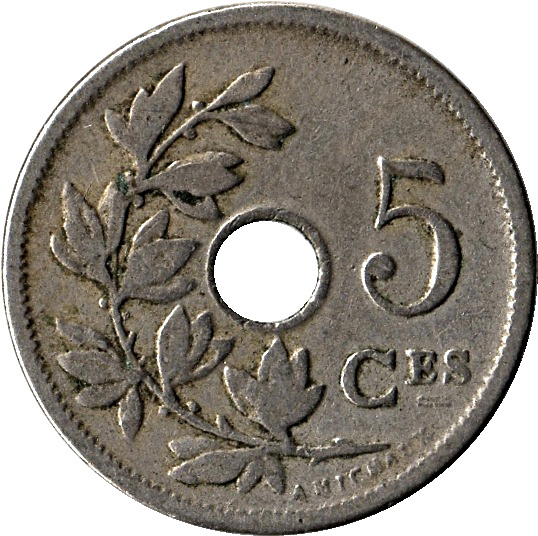 The center hole is flanked by an olive sprig and value. Designer below.